We come across situations that demand an authorization from experts or professionals in a field. These authorizations are considered as valid proof of something we try to prove to safeguard ourselves. 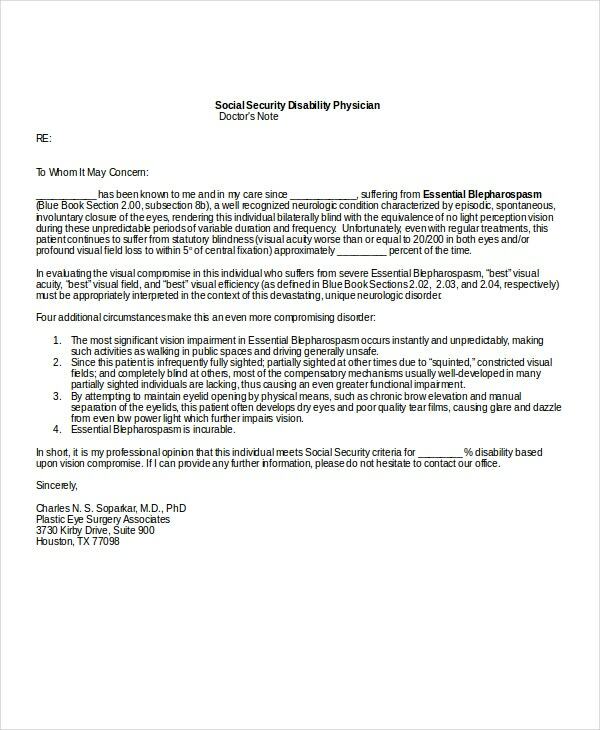 A Doctor’s Note template is one such format that helps us in many situations that demand the same. 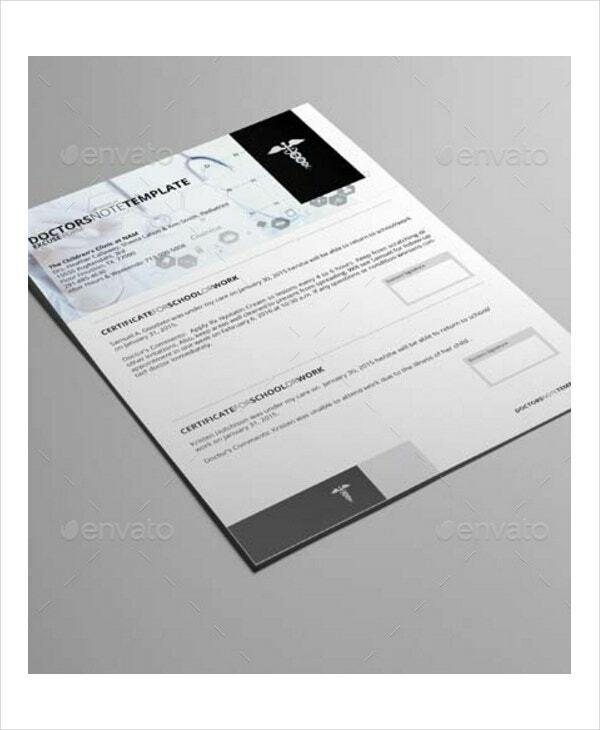 It is also referred to as Doctor Certificate Template and Medical Note Template. These are valid only when they are prepared and authorized by qualified Medical Professionals. 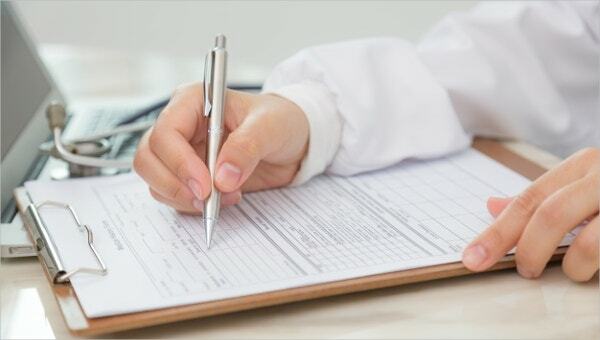 Pre/Post-Natal Doctors Note is a format which captures the Doctor’s notes pertaining to Pre Natal and Post Natal health issues and treatments given. It is a simple customizable format. 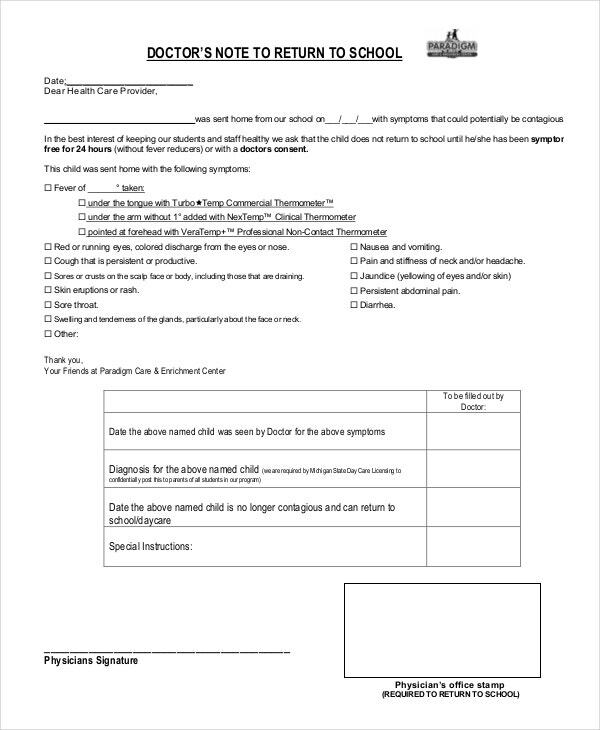 Doctor’s Note to Return to School is a simple format that helps Students who were on long leave to submit to the school a medical certificate while returning back to school after the ailment. You can also see Doctor’s Note For Work. 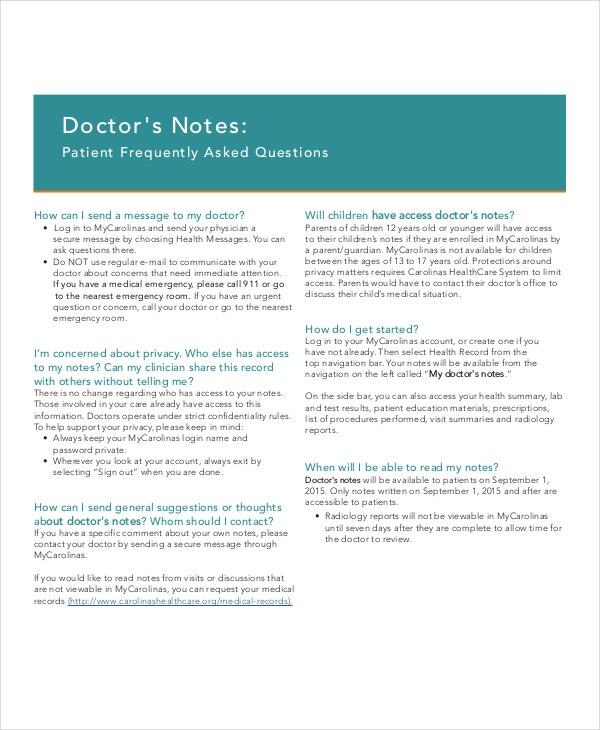 Doctor’s Note Template is a simple format that displays the Doctor’s comments based on his observations of the patient. It is a simple format that can be downloaded and used easily. 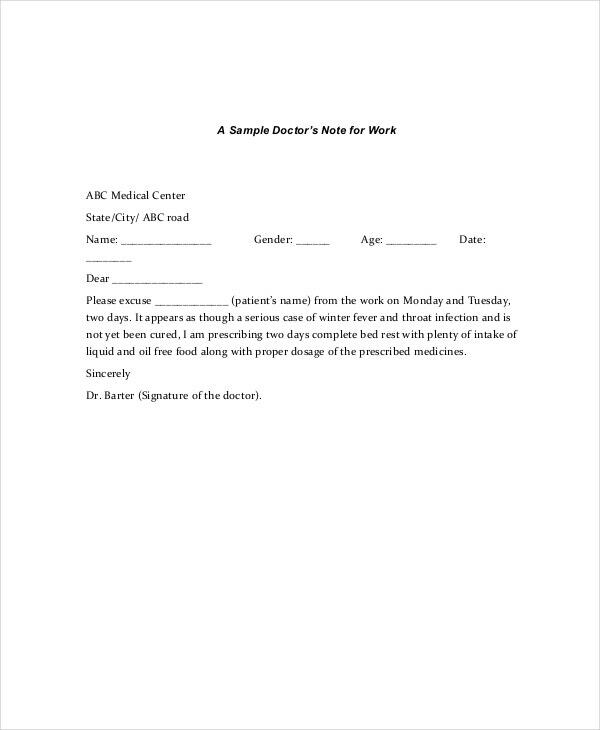 Medical Request Doctor’s Note Template is a simple format that expresses the request of medical treatment for the patient. It is an easily downloadable format that can be customized by users. 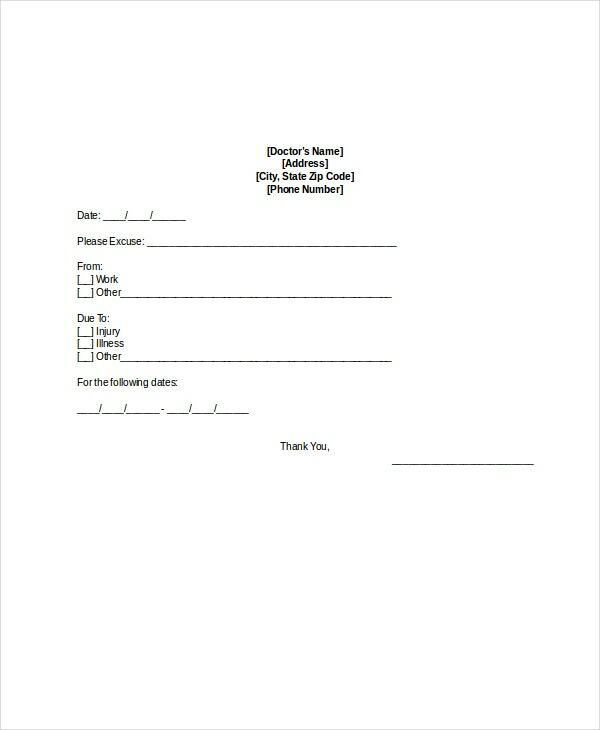 > How to use a Doctor’s Note Template? 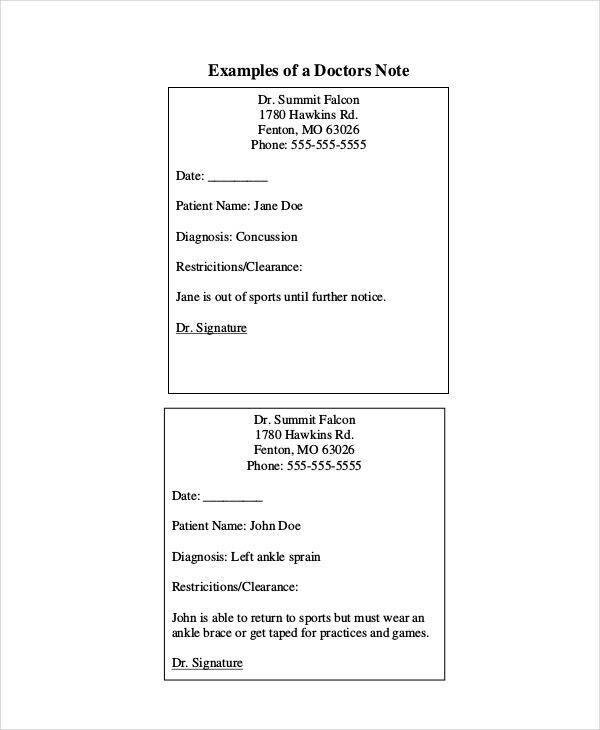 A Doctor’s Note Template can be downloaded easily for free of cost. These formats can be customized by the users after downloading to suit their exact requirements. 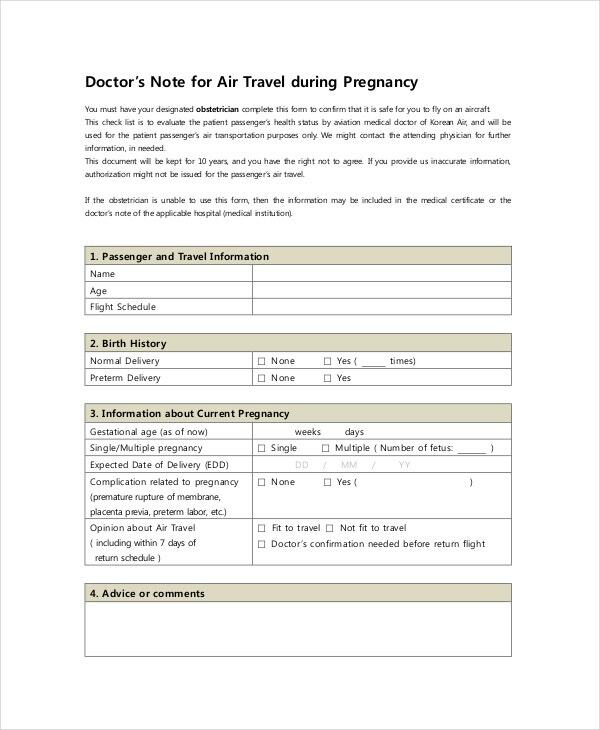 Doctor’s Note templates are used for multiple purposes like recording the ailment of patients in a periodic manner, recording the observations of the Doctor during the pre-natal and post-natal periods, to write to the schools when children take long leave due to sickness and as a request to provide a particular treatment to a patient. 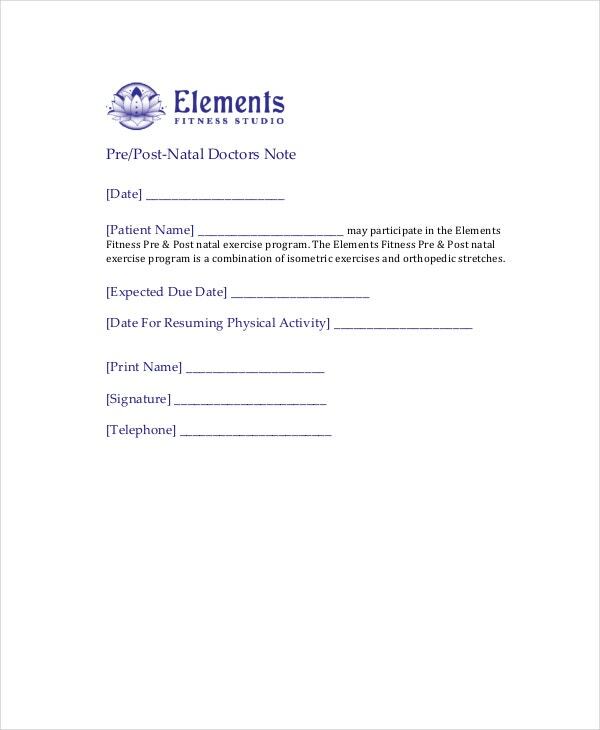 Doctor’s Note Templates are available for the various purposes and can be used for multiple purposes that are related to ailments and treatments done by a Doctor. 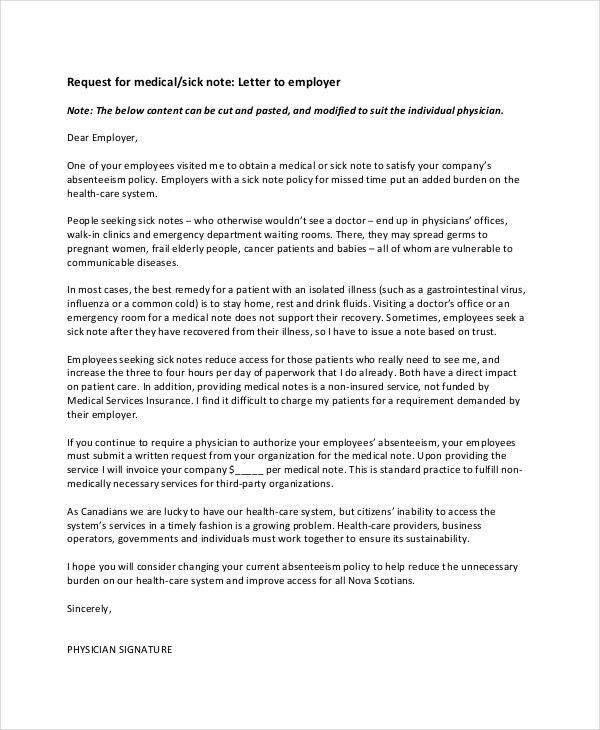 This format that is an example of a proper Doctor’s Note. This format can be customized by the user who downloads it for free of cost. You can also see Doctor’s Note Word Templates. > Who Benefits from Doctor’s Note Templates? 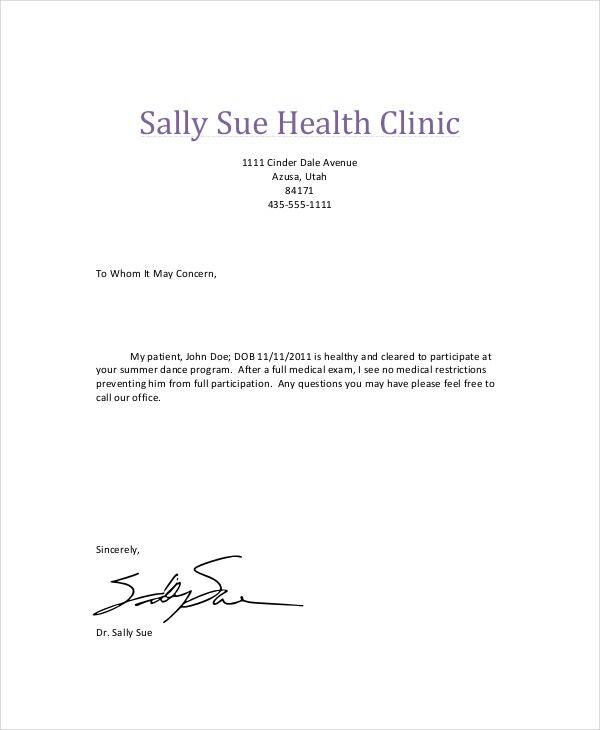 Every person in the society benefits from Doctor’s Note templates. Students who take long leaves from school due to extended illness take a Doctor’s Note and submit the same to the school. This is accepted by all schools. In the same manner, many organizations insist on a Doctor’s Note from Employees who take leaves more than the authorized or eligible limits. 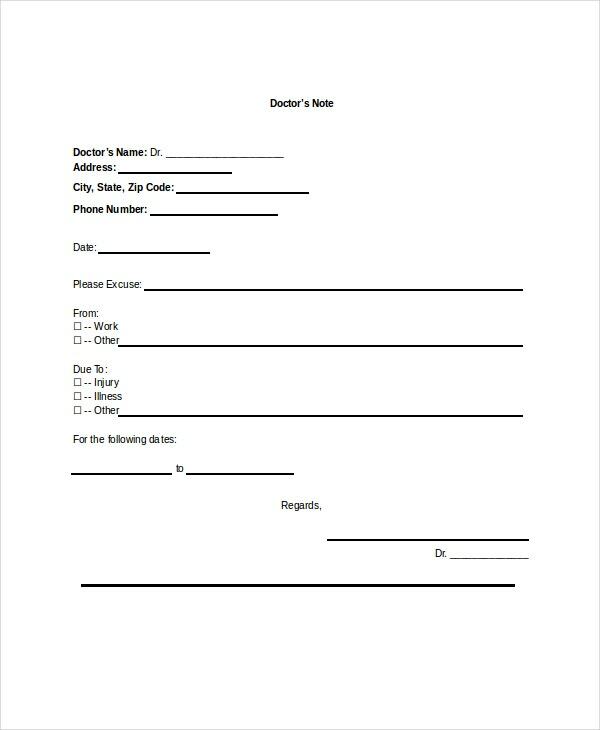 A Doctor’s Note Template helps other Doctor taking charge of shifts when the earlier Doctor gets discharged of the duties. It helps in smooth transition of information from one Medical professional to another. It also helps the duty nurses to pay attention to the observations of the Doctor on duty. Medical Students can download Doctor’s Note Template to understand the format and try their hands on them with their own comments. Doctor’s Note Template can be downloaded by Medical students and junior Doctors free of cost as many times as they want to and customized it to suite their requirements. You can also see Medical Note Templates.